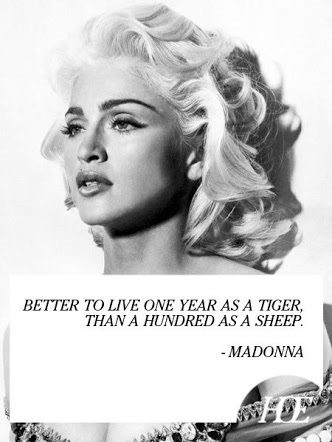 "Better to live one year as a tiger, than a hundred as a sheep." Be bold, be confident, be yourself. Always! "A lot of people are afraid to say what they want. 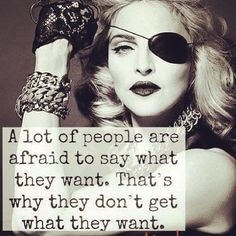 That's why they don't get what they want." 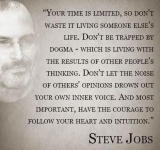 Don't be afraid to speak your mind, you have to go after what you want! 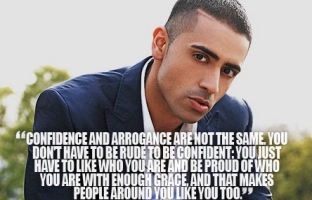 "Confidence and arrogance are not the same. You don't have to be rude to be confident. You just have to like who you are and be proud of who you are with enough grace, and that makes people around like you too." Confidence and arrogance are not the same thing. "When I'm hungry, I eat. When I'm thirsty, I drink. When I feel like saying something, I say it." be yourself, you don't have to put on an act for anyone. "Poor is the man whose pleasures depend on the permission of others." You don't need permission or approval to live your life the way you want. 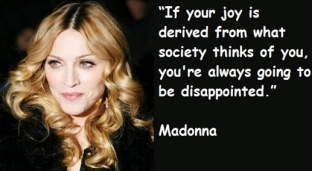 "If your joy is derived from what society thinks of you, you're always going to be disappointed." Be unique; you don't have to conform to what society wants you to be. "I always say what I think, and I'll never change my habit." Never change yourself to be accepted, always be yourself. 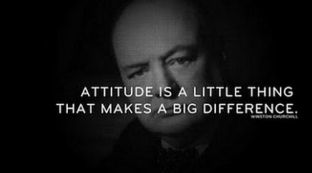 In every situation, your attitude is the one thing you are guaranteed to have control over. 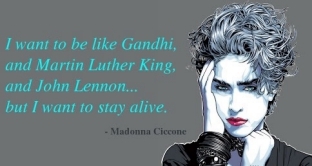 "I want to be like Gandhi, and Martin Luther King, and John Lennon... but I want to stay alive." 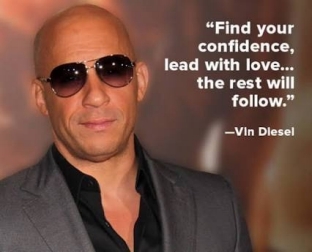 "Find your confidence, lead with love... the rest will follow." Confidence in your ability is the key to success. "I'm not very comfortable with what people sometimes say or think about me - things I don't feel responsible for." Don't talk about or concern yourselves with the lives of others. Focus on being the best version of yourself. This life belongs to you! Don't be a stepping stone for someone else's dreams. 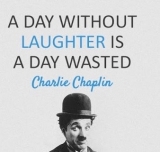 Make sure you smile everyday, it will make you feel better and make those around you feel better as well. 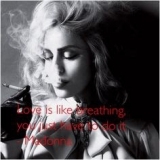 Love should be your escape.